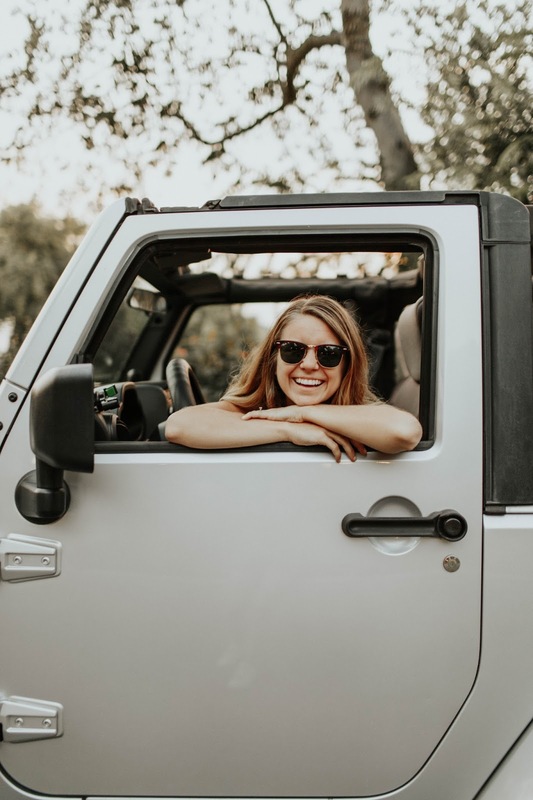 This is a feature of Always Rooney to highlight the good and the bad of "learning as I go" as I document and share about my journey of working for myself and doing what I love. I want to remember these moments, and maybe other people will be able to relate along the way. I'd love to hear your thoughts and your own journeys (even if they look different) as well. Please feel free to share. That's all! I've packed up all the open orders in my shop and I am ready for the next few weeks. Even though this holiday season is the busiest time of the year, I'm so thankful God has blessed me with the opportunity to stay busy doing what I enjoy. Now bring on the Christmas and New Years festivities! P.S. I have a few "ready to ship" passport cases in the shop! It is getting up earlier and staying up later. It is recruiting your fiancee to package orders with you. 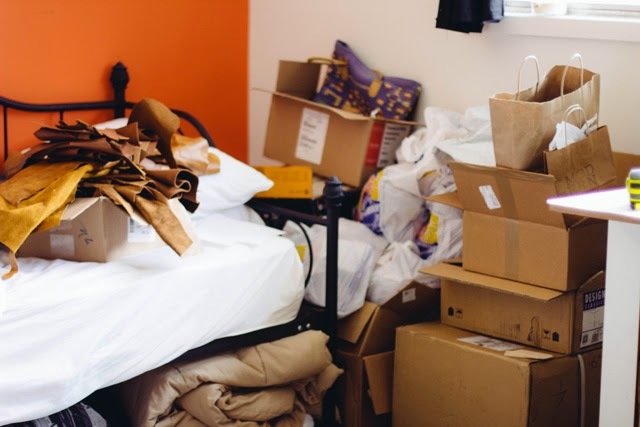 It is moving aside piles of leather so you can have a small section of the bed to sleep on at night. It is fun. It is dancing to cheesy-pop Christmas songs throughout the day. It is hours and hours of podcasts. It is full of self-motivation. It is quiet. It is reminding yourself why you do this. It is being disciplined. It is writing down to-do lists on the back of receipts. It is postponing new project ideas until the new year. It is repetitive. It is full of e-mails. It is only having Pinterest breaks during your bathroom break (truth). It is celebrating small victories. It is celebrating big victories. It is being able to allow feedback. It is challenging yourself to be better. It is a lot of work. It is completely worth it. At the beginning of December, I hit 1000 sales on Etsy which equals about 1500 passport cases and luggage tags sent out all over the world this year (craaazyyy!). This was huge for me personally because at the beginning of the year I wrote in my vision journal that I wanted to sell 1000 cases. I later changed that goal to 1500 because I wanted to stretch myself and see God do something even bigger in Always Rooney. It was a whirlwind when I saw that goal met. Praise God! If I've learned anything, I've learned to dream bigger and write it down. Writing down your goals makes them so much more real, it isn't easily forgotten when it is written down. And I will let you in on a tid-bit of information: you won't ever regret dreaming bigger. Speaking of dreaming bigger, there are a few moments this year where I had opportunities that seemed unreal and I wanted to keep telling myself how under-qualified I was. What bologna. Sometimes you just have to go with it, say yes and work really hard to make yourself qualified. (But let's be realistic.. I'm not looking to build a house with my two hands anytime soon) Don't sell yourself short! Take opportunities that are big- they will stretch you and prepare you for what is to come. Your perspective is key. That is with anything you do. How are you going to react when things don't go as planned? How are you going to tackle your to-do list when you honestly don't want to do any of it? Change your perspective, it will change your work flow and ultimately change your business. -Print your labels at home! Be your own postal service. It will multiply your time and in my opinion, it is fun! You can find affordable labels and packing supplies here. -Turn your phone on do not disturb mode. It increases your productivity. If you are scared you'll miss an important call, you can change your settings so that certain people can disrupt you. -Save answering e-mails for a certain time. Or at least turn off the "you got mail" sound on your computer or phone. E-mails are a huge distraction and time drainer. 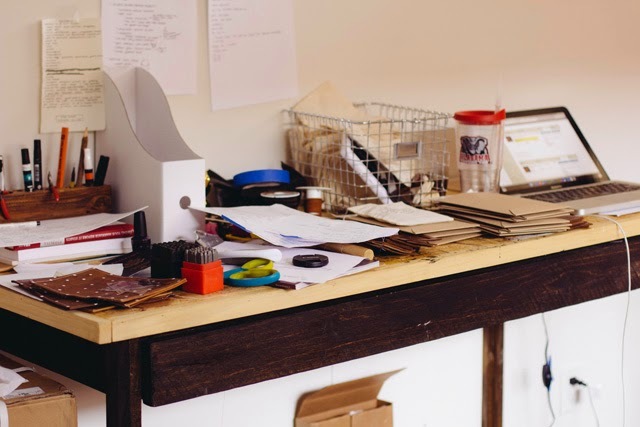 I know there is pressure to have the customer service quality of a big box store and answer e-mails as soon as they flood in, but you are a small business…take time to actually make the product instead of emailing about it! Make it known on your Etsy shop an hour when you answer e-mails so your customers know when to expect a reply. -Set your hours. This is a tough one, especially when you are doing something you enjoy so much. My hours are different every week usually, but I know how long I am working the night before. This doesn't always work, but at least give it a shot! Take time for you, your friends and your family. -Take a nap. I am a big believer in a solid 15-20 minute nap. 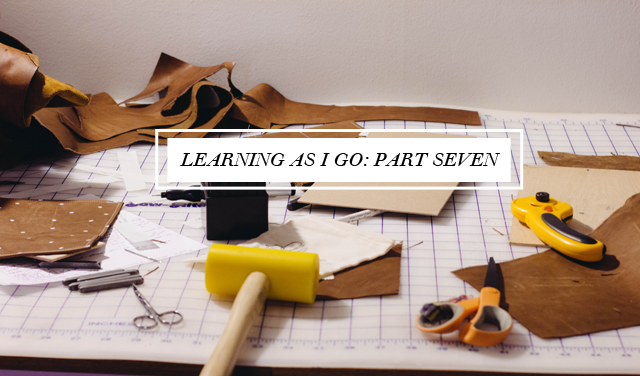 I know this "Learning As I Go" post has been all over the place, but sometimes you just gotta spill it all out… ya feel me? That's what a blog is for, right? I can't even begin to tell you how excited and expectant I am for 2015, I have lots of crazy goals, dreams and ideas written down and I'm ready to work. This busy season has energized me for what is to come. So tell me.. what have you learned this year? Have you written down some crazy goals? I'd love to hear! I think you just inspired me to finally stop procrastinating! I am going to open my Etsy shop! Thanks for reading, Ryn! I bet this will be your best year yet as you write down your goals and work hard toward them! And you the same! I love reading your blog, Juliette. Courtney.. this post was excellent. Even if you thought it was all over the place, I followed it perfectly! Thank you for posting your realities, your feelings, and especially about giving yourself grace. My studio space looks pretty similar to yours, it's crazy. I'm definitely taking your email 'hours' advice, and posting that on my Etsy. I've had convos sent to me at 9 at night, only to get another one later the same night around midnight, asking why I haven't replied yet...so I sat up and responded right then in bed, thinking I needed to please my customers that way. Now I know that I should please my customers within the frame of running a professional business, because that's what I'm aiming to be! I hope you have a wonderful Christmas, and congrats on your upcoming wedding! Looking forward to see what beautiful things you have created (no doubt) for it! Glad you could follow along. It's hard, but necessary to create boundaries. Especially with emails. As long as you are clear about them upfront, people usually respect your guidelines or policies you've put in place. Thankyou Courtney! My biggest resolution for the new year is to start an Etsy store. I'm so terrified but I know I really want to do it, it's just trying to work it all out for yourself which is the scary part! It is definitely a big, scary step…but when you take small steps toward a big goal, it is attainable! Good luck on your new shop and please leave me a link once you get it up and running.